On 5th June, Amazon’s Indian business completed five years of operations. 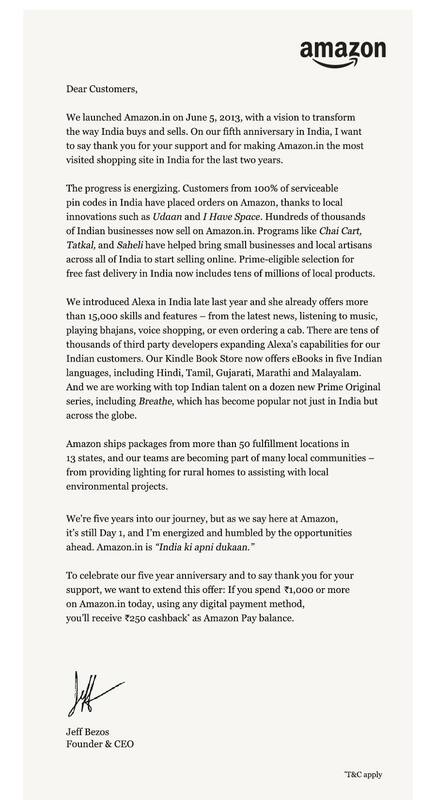 To commemorate the occasion, Bezos, the chief executive officer of Amazon, posted a letter to customers on Amazon’s India website in which he thanked them for making Amazon the “most visited shopping site in India for the last two years”. While domestic rival Flipkart can also stake a claim to the title of India’s most visited shopping site, Amazon’s growth in India has been impressive. It has 50 fulfillment centres in 13 states disbursing packages to customers every day. More importantly, according to Bezos, it now has customers from every serviceable pincode in the country, owing to outreach programs like Udaan. 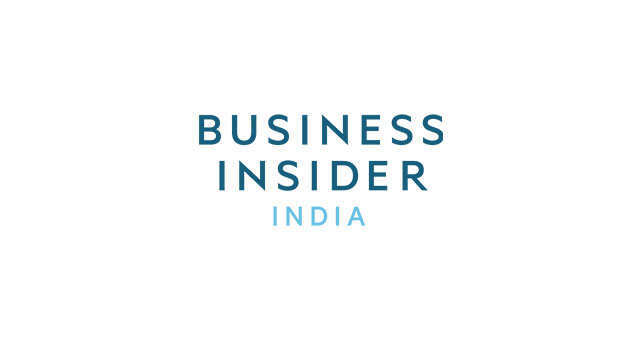 In fact, according to Amazon’s India chief Amit Agarwal, 85% of the platform’s customers in India are from small cities. Under Project Udaan, which was launched in 2015, Amazon partners with kirana stores, mobile phone outlets and physical vendors to get customers in remote towns and cities. It trains these sellers to use its online shopping platform and they in turn, use this to help customers order products that they need - earning a commission. Amazon boasts a network of 300,000 sellers, including small businesses and local artisans. It has also invested in local video content like television series and started offering books on its Kindle store in several regional languages. While a five-year anniversary is an apt time to laud one’s own achievements, this growth hasn’t come cheap. After committing $5 billion worth of capital to its Indian business, Bezos is reported to be mulling an additional infusion of $2 billion in order to take on rival Flipkart. Last month, Walmart decided to purchase a 77% stake in the Indian e-commerce giant, with the end goal of pushing Amazon out of the online retail space. 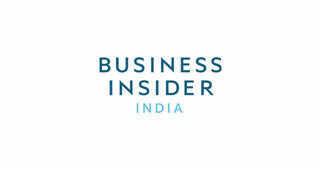 Both companies will also compete intensely in India’s physical retail market. Amazon is reportedly mulling the acquisition of a 10% stake in in the retail arm of Future Group, an Indian conglomerate, following its purchase of a 5% share in Shoppers Stop last year. Amazon’s heavy capital spending and focus on discounts has also hurt its bottom line results. Despite a 43% jump in revenue, Amazon Seller Services Ltd, which operates Amazon’s India portal, saw its net loss widen by 31% to ₹48.3 billion in fiscal 2017. In the penultimate paragraph of his letter, Bezos declared that it was still Day 1 of the company’s operations in India. Amazon has ambitious growth plans for the country, which is shaping up to be its most important market outside the US. It is planning to acquire 100 million additional customers in India by 2022. This will involve the construction of new warehouses and promotion of its Prime service as well as regional language options on its website, a push into pincodes that aren’t currently serviceable and the extension of credit to facilitate purchases.